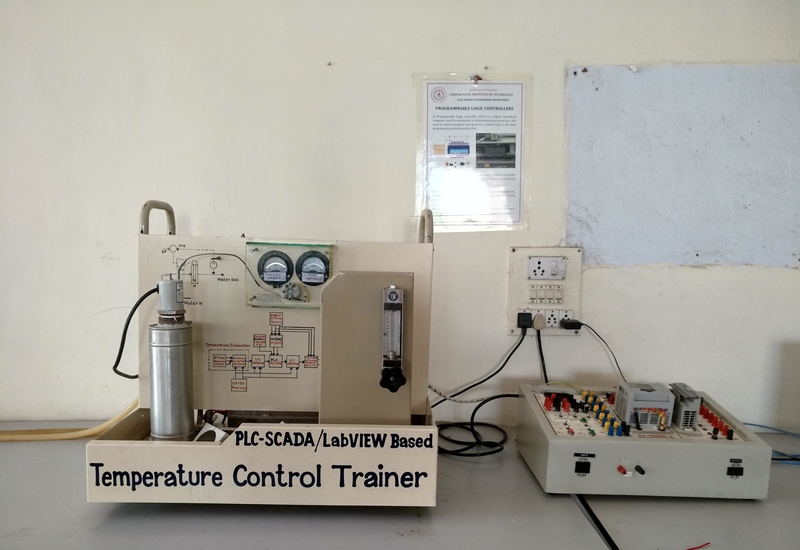 In this laboratory the students can perform experiments on elementary concepts of Instrumentation Engineering and are also exposed to PLC,SIEMENS PLC and Drives Training Kit, Six axis 600f Robotic arm, Thermal Imaging Camera, PNEUMATIC Trainer Kit with PLC, Temperature controlled trainer, Flow controlled trainer and Lab-View. 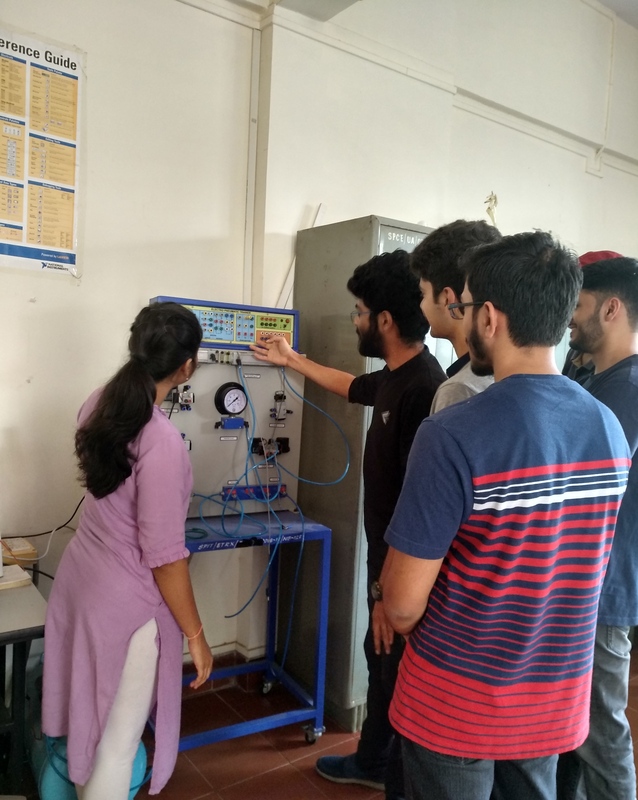 Some of the trainer kits are developed by the students of final year of Electronics Engineering. 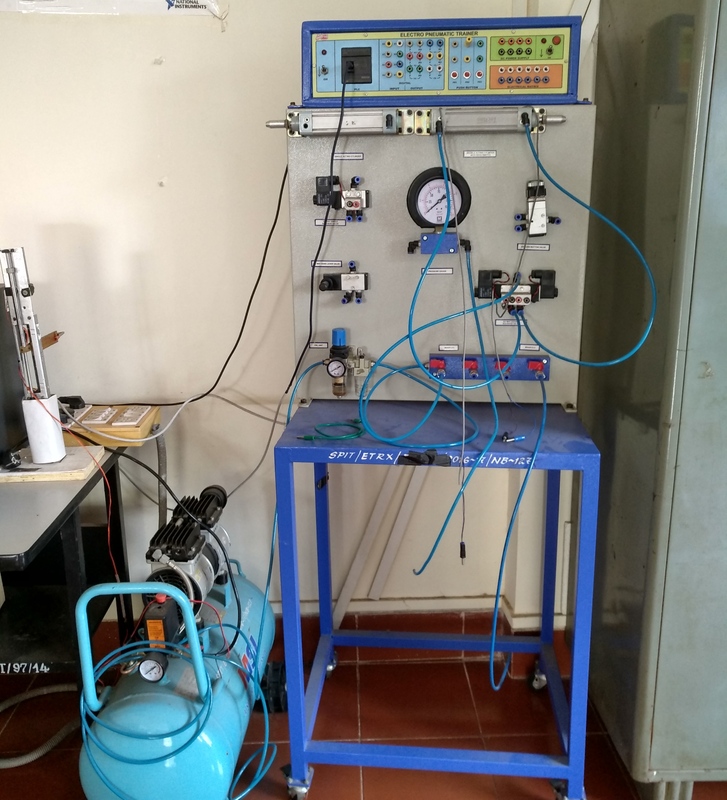 The main equipments are Transducer based systems based on LVDT, Inductive pick up, Capacitive pickup, Photoelectric pick up, strain gauge, magnetic flow meter, Rotameter, Measurement and control of temperature, speed, liquid level measurement trainers; single phase induction motor. 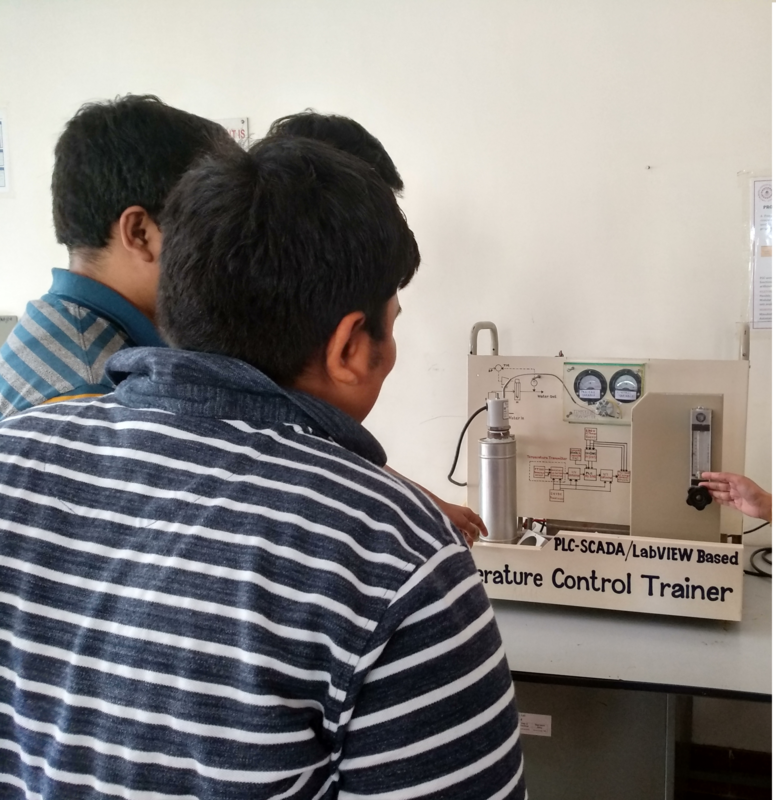 Experiments are performed for courses Control System, Electronic Instruments & Measurement, Advanced Instrumentation System & Circuit Theory. Using PLC available in the lab students of final year designed some of the application by writing the LADDER Program. This lab also includes experiment on Robotics. Trainer kits with demonstration of the Robotics is also available. The demonstration is shown on the TV set which is connected with PC. Students are assembling the ROBO kits after demonstration. Students are enjoying while doing the experiments on ROBO. 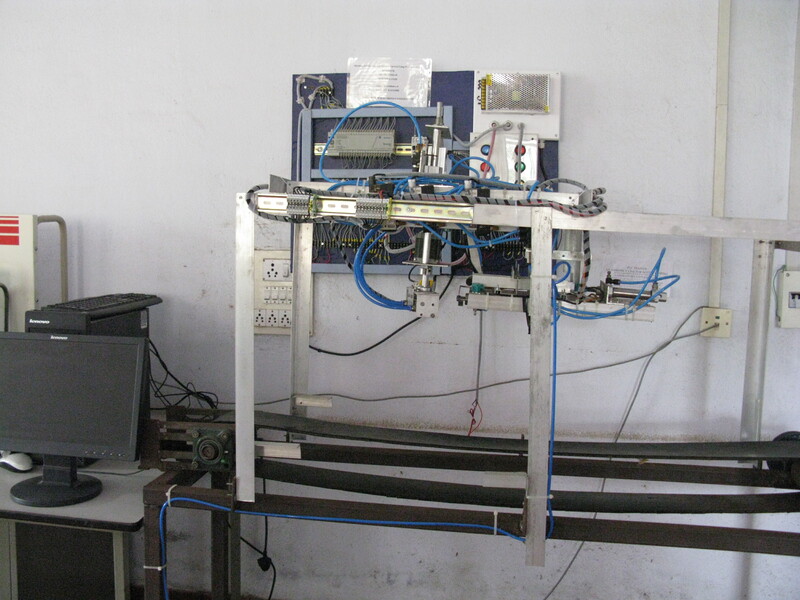 These experiments encourage the student to involve in national level competition every year. 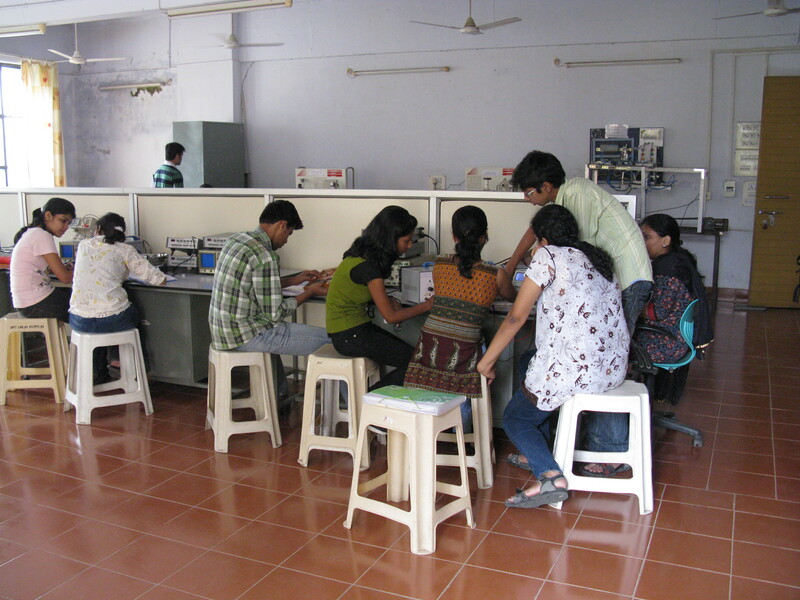 ROBOCON team of the institute is also using this lab for their activities. The mechanical assembly for the PLC and the ROBOTICS projects are developed in the college Workshop.